Do you have sink with a clogged drain? 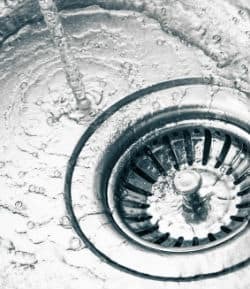 For professional clogged drain cleaning services in the Monterey, CA area and beyond, call Reliable Plumbing & Heating Services – we’ll make your drains flow like new again. Whether you have a new or recurring drain problem, our full-service drain cleaning will restore your drain to proper operation. Don’t wait until your drains stop working completely – if you’re experiencing slower drain time, sporadic draining, or unusual drain or toilet activity, our professional plumbers can solve your problem. It’s important to have the right technology while cleaning drains to accurately assess the issue and fix the problem at its source. We use sewer cameras for video inspection of your plumbing lines, allowing us to see deep inside your pipes and pinpoint the exact location of the problem. During a routine inspection, we can locate potential clogs or leaks – saving you time and money in the future. We use high-definition sewer cameras to delve deep into your plumbing system and inspect the pipes from your home all the way out to the road, to make a comprehensive assessment of the exact location of a leak or drip. The moment you believe your pipes are leaking, you should call Reliable Plumbing & Heating Services at (831) 394-7077 to perform an inspection. We use the most up-to-date technologies so you can depend on our analysis and see for yourself where the leak or drip is coming from. Our drain maintenance team is proud to use only BIO-SMART and BIO-CLEAN cleaners for safe, effective, and environmentally sound breakups of organic buildup, heavy clogs, and odorous residue. At Reliable Plumbing & Heating Services, we understand the importance of conducting drain cleaning in the safest way possible for you and your family. With our eco-friendly and efficient tools, our technicians can often eliminate your drain issues without major repairs. For experienced drain cleaning and unclogging you can count on, call Reliable Plumbing & Heating Services at (831) 394-7077 today.